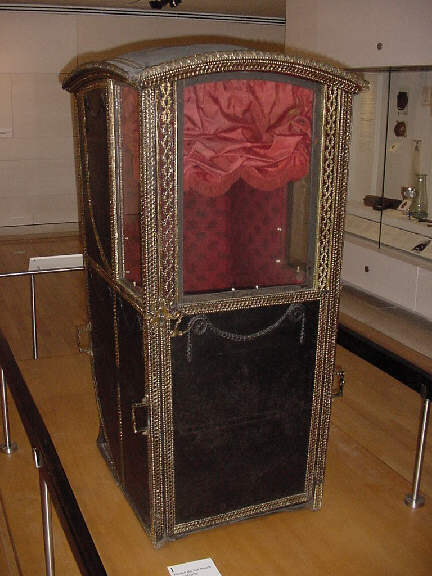 The first sedan chairs for public hire in Scotland were introduced to Edinburgh in 1687. Sedan chairs were particularly effective due to the narrow closes and steep hills of Edinburgh's Old Town. This picture was taken at the National Museum of Scotland, itself located in Edinburgh and well worth a visit. This collection shows a variety of topics, none of which were particularly easy to classify. From pictures of scottish castles to images of industrial landscapes, whatever you are looking for in terms of pictures images or photographs of scotland then hopefully you will find it here.Take a pictorial journey through scotlands rich and diverse heritage.